Hey, everyone! First off, I want to thank everyone who left comments on my last post, as well as all of my followers for putting up with my absence. It means a lot to me. I know I said I'd be back right away but that's kind of what today's post is about. 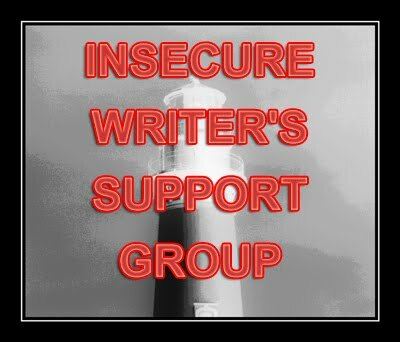 Today's the day for the Insecure Writer's Support Group. Check out Alex J. Cavanaugh's blog to learn more. I guess I'm insecure about my motivation. I just don't have any. A little over a month ago I was just one chapter away from finishing my novel and couldn't have been more excited. Now I'm still in the same position, but not excited at all. And certainly not moving forward. I haven't wanted to write, blog, or even tweet lately. It seems that all I have the motivation to do is go to work and then spend my free time rotting in my apartment watching Netflix with my boyfriend. I don't feel depressed, but I'm sure on some subconscious level I am. I'm not sure if I've fully processed my mom's passing. I feel fine most of the time, then I'll have a moment here and there when I'll feel sad but then I'll move on from it. It still doesn't feel real. I guess lately I just don't want to do anything. I didn't even want to write this blog. I still think about my book a lot and how I'd like to end it. I think I might also be avoiding it just because finishing it is hard. There's still a lot to figure out. But I really need to finish it. Maybe I can't just sit around waiting for my motivation to come back. Maybe I just have to push through and get the words out even if I don't want to. Because in the end it will be worth it.